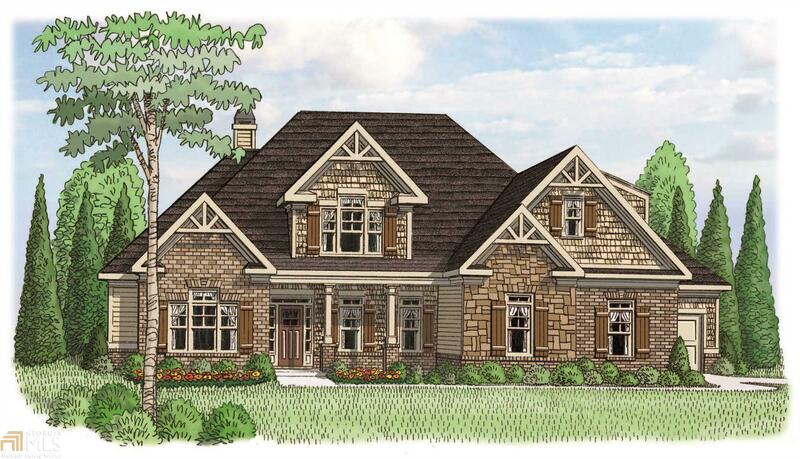 The Maplewood - This spacious two story home features an entry foyer, separate living room, and separate dining room. The gourmet kitchen includes granite countertops, bead board, under cabinet lighting, and vaulted breakfast area opens to the fireside (stone to ceiling) family room with built-ins and coffered ceiling. The master suite has vaulted ceiling and a large private bath with a double vanity, garden tub, shower, and large walk-in closet. Also on the main floor are two secondary bedrooms with walk-in closets joined by a Jack-n-Jill bath. Upstairs is a fourth bedroom, full bath, and bonus room. This home also has a large patio. Directions: Hwy 78 East Towards Athens, Turn Left At Hwy 53/Hog Mtn Rd. Travel Approximately 3 Miles And Highland Park Is On The Left.